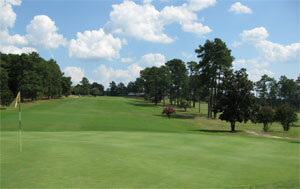 Routed over rolling terrain, it can be challenging for golfers of every skill level. As a classic layout, there are few forced carries of any great length, and many greens are open in front to allow for the bump-and-run style that was characteristic when the course was built in 1923. As a mature course, Southern Pines Golf and Country Club is especially lovely in the Spring when the azaleas and dogwoods are in full bloom.